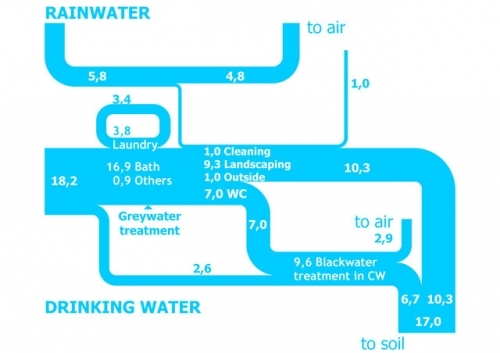 Just a quick post with a Sankey diagram for water flows in a hotel. Apprently from a research project called Zer0-M. More images here. No units for the streams, so I just guess these are litres per hotel guest per day or cubic metres per day. Unicolor, no directed arrows.